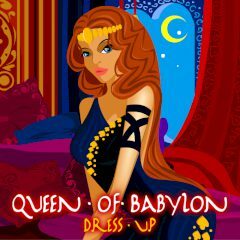 There is a new queen in Babylon! Help her adjust to the new environment and help her choose a wonderful outfit! Do her a nice hairdo and apply lipstick in Dress up mode! Do you like challenges? Then choose Compare mode and dress up the queen exactly as you see it in the original picture!